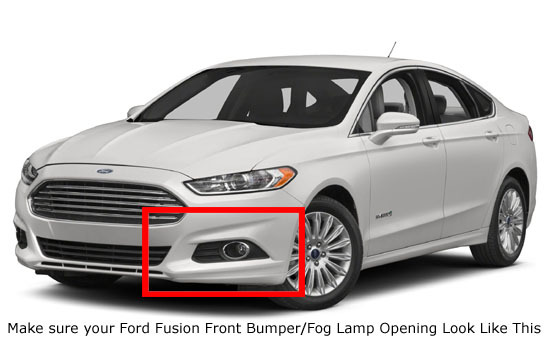 Q: Will this LED daytime running lights fit on my Ford Fusion? 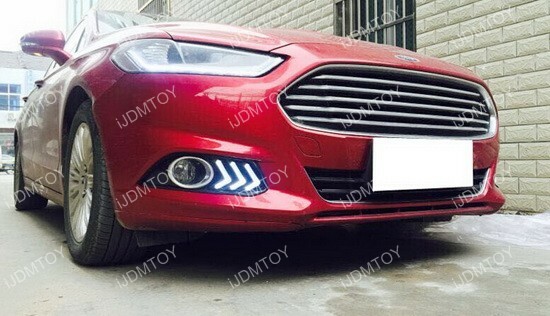 If your car does not come with factory fog lights, you can get a set of compatible fog lights or cover up the opening with wire mesh. 1. 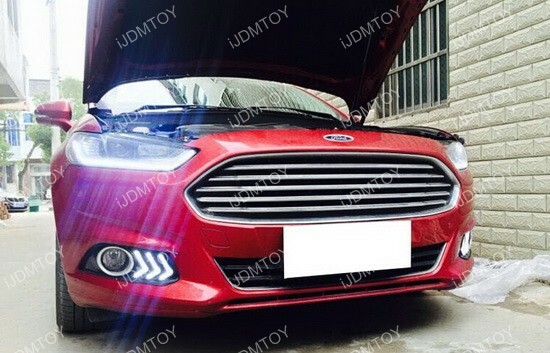 Remove the stock bumper. 2. 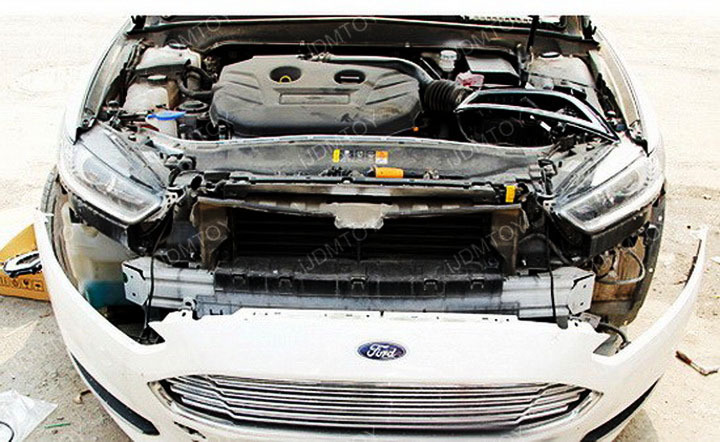 Use a flat head screwdriver to remove the stock fog lamp bezel cover. 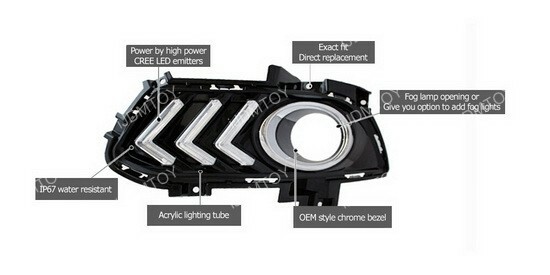 The insert shows you what it should look like after you've removed the stock fog lamp bezel cover. 3. 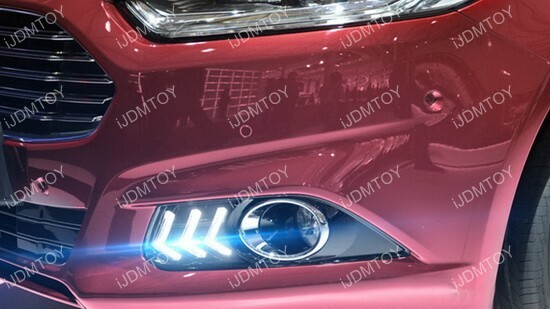 Replace the open slot in the bumper back with the new LED daytime running lamp bezel replacements in the same way you took out the stock bezel. 4. 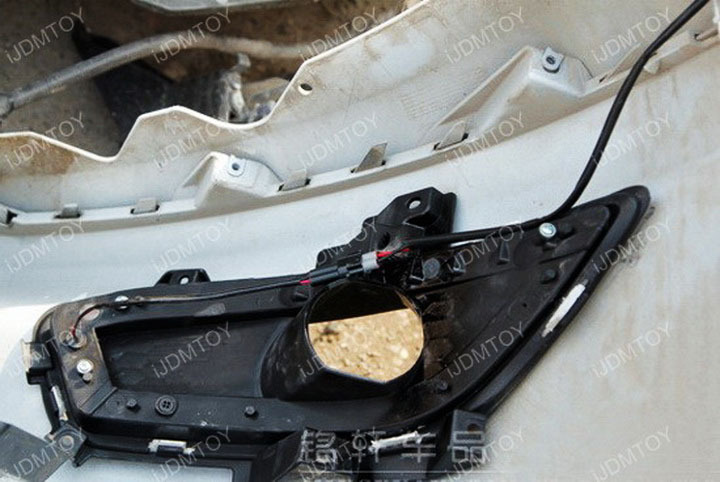 After you put in the new LED daytime running light bezel, you will need to connect the wires of the LED DRLs to the module box. 5. Take the red wire and tap it to the fuse box ACC location. How do you find an ACC location? 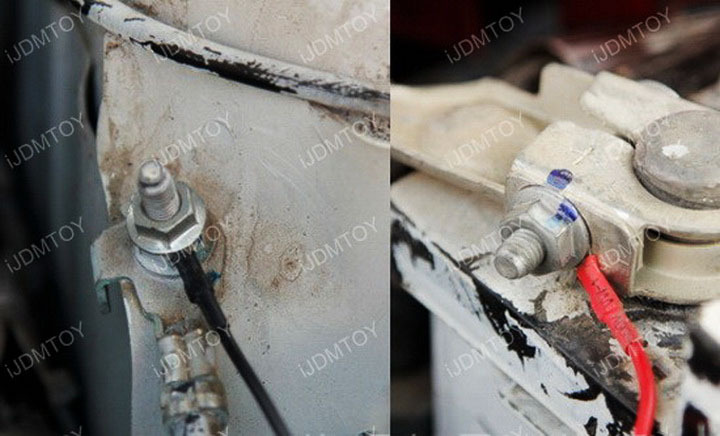 For starters, you'll need a 12V car circuit tester or an electronic meter. 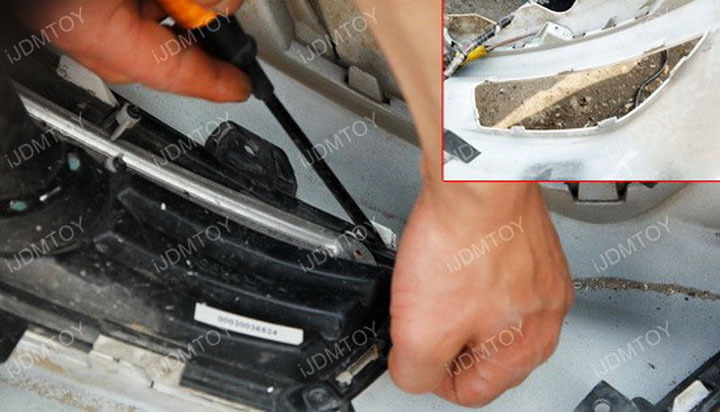 Clamp the black wire to the battery negative or ground. 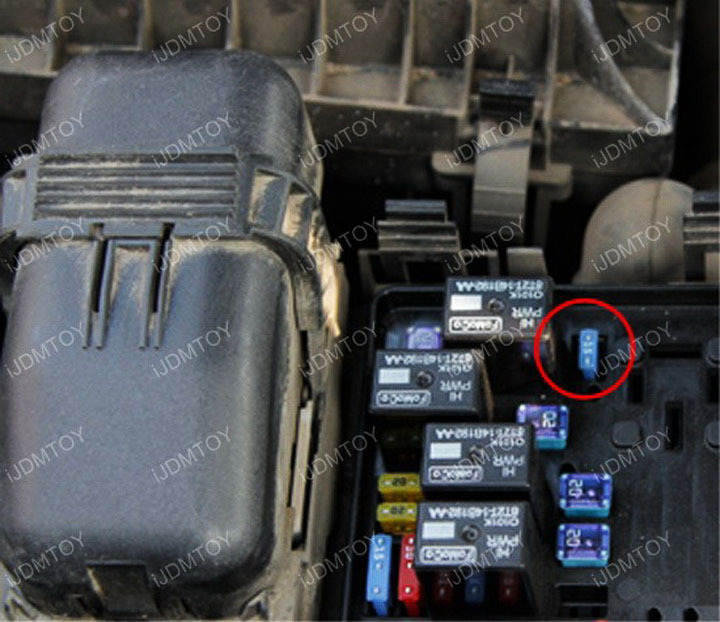 Locate and open the fuse box. Use the tester pen to insert it into any of the unoccupied slot and remember the locations where the tester pen doesn't light up. Start the engine and test on the spots that didn't light up. 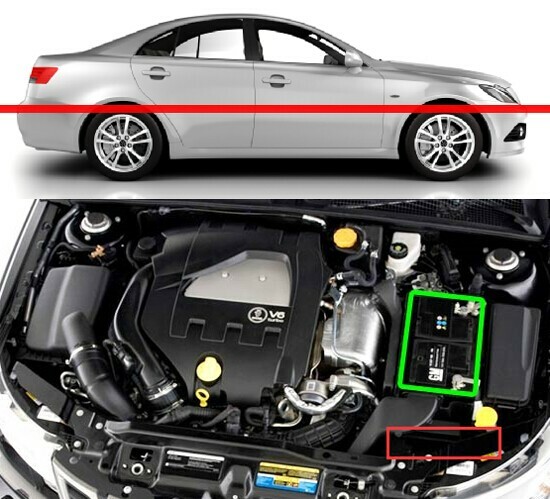 The spot that lights up only when the engine is on is an ACC 12+ spot. 6. 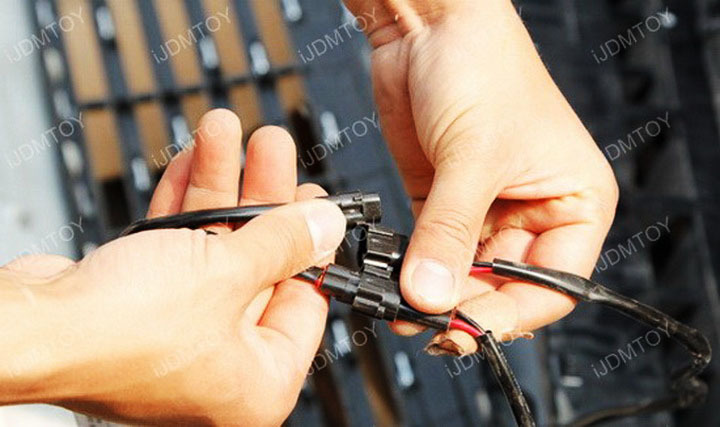 Tap the black wire to the ground and the red wire to ACC or any 12V power source. 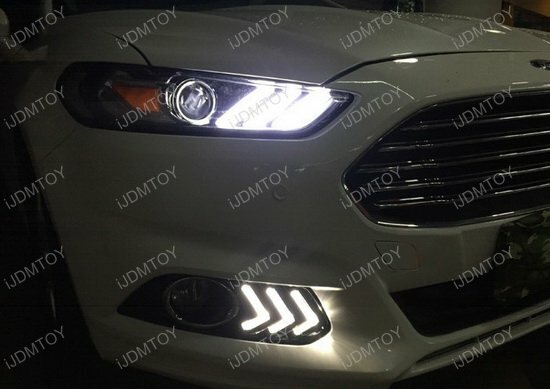 Test to make sure everything works and enjoy your new LED daytime running lights. 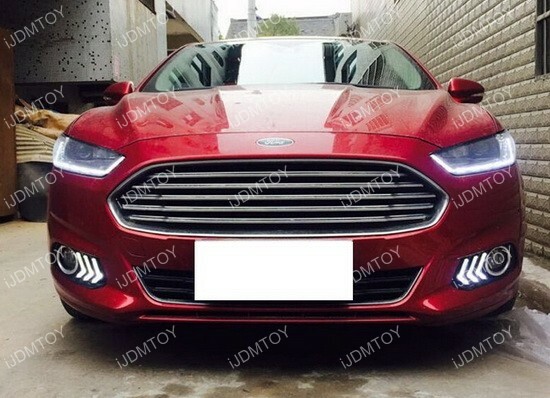 This is a complete set of xenon white high power CREE LED daytime running light lamps direct fit for the 2013-up Ford Fusion (aka Ford Mondeo). 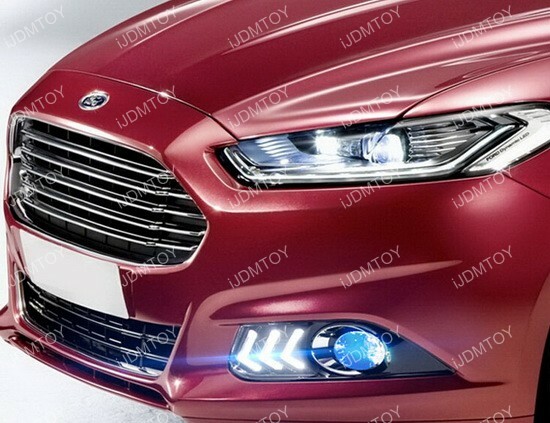 These high power CREE LED daytime running lights are powered by 3 pieces high power CREE LED lights with an signature Ford Mustang headlight style to replace the Ford Fusion's original fog lamp bezels or the lower bumper grille covers. 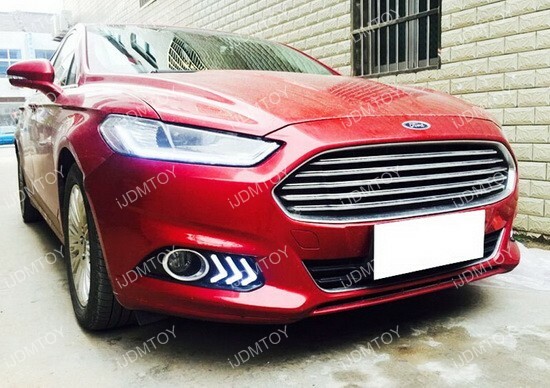 It will give your Ford Fusion an awesome stylish LED daytime running lights and also give you option to add OEM fog lamp if your Ford Fusion does not come with it. 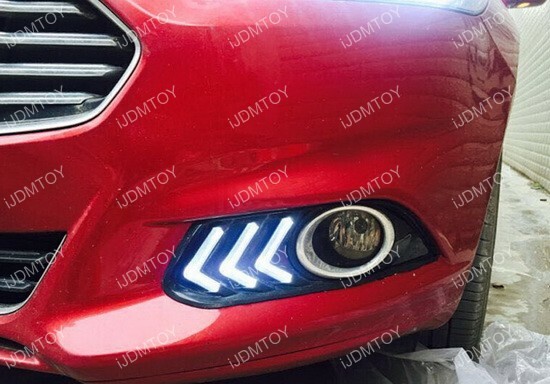 These Ford Mustang headlight style LED daytime running lights turned out great. 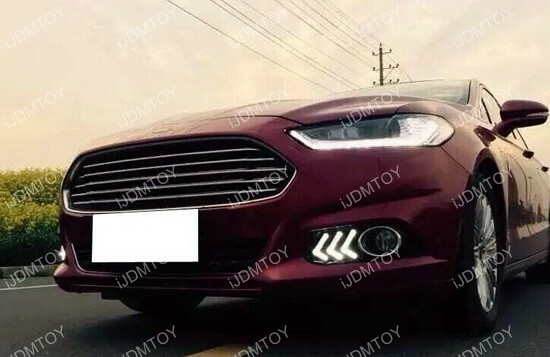 To install you do need to take off the bumper.